Indonesia/ Surabaya-Juanda Airport (SUB) – Lion Air Boeing 737-9GPER (WL) passenger jet (PK-LFH) suffered a tail strike and bounced several times on landing. 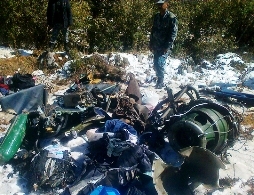 Syria/ Mount Zayn al-Abdeen - Syrian Air Force MiG jet shot down by rebels. Uruguay/ Punta del Este-Capitán de Corbeta Carlos A. Curbelo International Airport – A Learjet 31 (LV-CNQ) suffered a runway excursion on landing and collapsed the nose gear. Germany/ Augsburg (EDMA) – A training Guimbal Cabri G2 helicopter (D-HAVC) crashed on landing. France/ Morlaix airfield – An ultralight plane crashed killing the 2 occupants. Canada/ QC/ about 20 kilometres south of Montreal/ St-Remi – A helicopter crashed injuring the pilot. South Africa/ Lanseria International Airport (FALA) – A Beechcraft C90GTx King Air plane (ZS-CLT) crashed during a second attempt for landing in bad weather. The 3 occupants were killed. US/ TN/ Nashville-John C. Tune Airport – A Rockwell-Gulfstream 690C Jetprop Commander 840 plane (N840V) crashed during it was making a second approach. The 4 occupants were killed. Mexico/ Jalis/ Puerto Vallarta/ Licenciado Gustavo Díaz Ordaz Int'l (PVR/MMPR) - A Pilatus PC-12 plane (XA-UFN) landed with an undercarriage problem and veered off the side of the runway. Costa Rica/ Cerro Chirripo – Cartago - AMD Helicopters MD500D helicopter (MSP013) crashed on takeoff. The 3 occupants received minor injuries. Thailand/ Muang district/ Bang Phun/ Vajiravudh military camp – A military Schweizer 269C (300C) helicopter crashed on landing and hit a truck. No injuries. Russia/ Yamalo-Nenets Autonomous Okrug/ Bovanenkovo – A cargo Mi-8 helicopter (RA-25655) made hard landing and overturned on its side. US/ AZ/ Phoenix/ Near Deer Valley Airport (KDVT) – A training Piper PA-28 plane crashed while practicing touch-and-go landings. One of the 3 occupants received minor injuries. US/ AZ/ Phoenix/ Deer Valley Airport (KDVT) – A Beech A36 Bonanza (N3084Z) made a belly landing. New Zealand/ North Island/ Otane/ Central Hawke's Bay – A Pacific Aerospace Cresco 08-600 plane (ZK-LTE) clipped trees and crashed on landing injuring seriously the 2 occupants. China/ Zhengzhou-Xinzheng International Airport (CGO) – Joy Air Xian MA60 passenger jet (B-3455) suffered a landing accident. Its nose undercarriage unexpectedly retracted and the nose of the plane contacted the runway. No injuries. US/ SC/ Greenwood County Airport – A Beechcraft Baron plane caught fire and was completely destroyed. Germany/ Langenfeld – A Guimbal G2 Cabri helicopter (D-HAIG) crashed on takeoff. No injuries. Australia/ WA/ Merredin/ Merredin Airport (YMDN) – A training Grob G115 plane (VH-BFW) crashed on landing due to a gust of wind. The solo student pilot received minor injuries. Russia/ Omsk Oblast/ Tevrizsky District – A Mi-2 helicopter (RA-1434G) crashed, while it was performing test flight, hovering at 2 meters height. The aircraft caught fire. No injuries. New Zealand/ North Island/ Waipa district/ SE of Te Awamutu/ Kihikihi – A Druine Turbulent Ultra Light aircraft crashed injuring seriously the pilot. Panama/ Calzada larga – A training Cessna-172 plane (HP-1766FT) crashed on landing. Thailand/ Phuket/ Laem Ka – A Polaris Motor Flying Inflatable Boat ultra light aircraft crashed into the water killing the pilot. Bangladesh/ Jessore/ Mahidia – A Bangladesh AF training Nanchang PT-6 (CJ-6) plane (3515) crashed. Both pilots received minor injuries. Mexico/ Jalisco/ Puerto Vallarta – A Mooney M20K-231 plane (XB-CAN) crashed killing the 2 occupants. Russia/ Anadyr Airport (DYR) – A Viking Air DHC-6 Twin Otter 400 plane (RA-67282) collapsed the nose gear on landing. Panama/ Mansukum – A military Bell 412EP helicopter (AN-137) crashed killing 1, injuring 8 occupants. US/ FL/ Martin County/ near St. Lucie Inlet - A small plane crashed. The pilot is missing. US/ MA/ Chicopee/ Westover Air Reserve Base – A military C-5B airplane made an emergency landing after a loss of pressurization. A young girl suffered minor injuries. US/ MA/ off Plum Island – A powered paraglider crashed into the waters. The pilot died. US/ FL/ Panacea/ Wakulla County Airport – A Robinson R44 Raven II helicopter (N571AC) crashed on takeoff killing 2, injuring critically 1. US/ TX/ Houston/ near David Wayne Hooks Memorial Airport (KDWH) – A small plane crash-landed on a road shortly after takeoff. One of the occupants was injured. Argentina/ Santa Rosa – A PZL-Bielsko SZD-48-1 Jantar Standard 2 glider (LV-DOA) crashed on approach killing the pilot. Brazil/ Tocantins/ Palmas/ Taquaralto – A Cessna 210N Turbo Centurion II plane (PT-OMX) crashed on approach killing the 3 occupants. Afghanistan/ Maidan Wardak province/ Dai Merdad district – A cargo plane crashed killing the 3 occupants. Australia/ VIC/ Moorabbin Airport (YMMB) - A single engine plane experienced a loss of directional control upon landing and it was damaged. An Algerian military C-130 Hercules turboprop transport plane (7T-WHM), heading to Constantine from the southern Saharan city of Tamanrasset, slammed into a mountain Tuesday in the country's rugged eastern region, killing 77 people and leaving just one survivor. Air traffic controllers lost radio and radar contact with the plane just before noon. The plane was discovered in pieces on Mount Fortas near the town of Ain Kercha, 50 kilometers (30 miles) southeast of Constantine, the main city in eastern Algeria. The plane carried 74 passengers and four crew members, the military said in its statement, blaming poor weather for the crash. В результате крушения военно-транспортного самолета С-130 "Геркулес" (7T-WHM) в Алжире погибли 77 человек. Один солдат выжил. Он получил ранения головой. Причиной авиакатастрофы специалисты считают плохие погодные условия: в момент трагедии в том районе бушевала снежная буря с грозой. Это лишь предварительные данные. В самолете летели четыре члена экипажа и 74 пассажира - военнослужащие и члены их семей. Они направлялись из Таманрассета в город Константина (на северо-востоке страны). В горном массиве Фертас в провинции Умм-эль-Баваки на востоке C-130 Hercules рухнул вниз. Алжирски военен самолет се разби в Източен Алжир, при което загинаха 77 души. Военнослужащ от намиращите се на борда е оцелял като по чудо и е с травма на главата. В самолета са пътували военни и техните семейства. Самолетът се е разбил в района на планинския масив Фортас в провинция Ум ел Буаги (на 500 километра източно от столицата Алжир), на 50 километра от дестинацията си, летището на град Константин. По предварителни данни причина за катастрофата са лошите метеорологични условия - лоша видимост, бурен вятър със силни пориви и валеж на сняг. Russia/ Moskva-Vnukovo Airport (VKO) – A Hawker Siddeley HS-125-700B plane (RA-02801), owned by Sirius-Aero, landed on foam carpet with the right hand wing touching the runway. Lybia/ near Ras Lanov – A military helicopter is missing. Ireland/ Clare County/ Shannon/ Shannon Airport (SNN/EINN) – Aer Arran AeroAndina MXP-740 Savannah plane (EI-BYO) damaged left hand main landing gear, during storm force winds. Japan/ Nagasaki Airport (NGS/RJFU) – A training Bombardier DHC-8-Q201 plane (JA801B) was damaged on landing. No injuries. Colombia/ Medellín/ Enrique Olaya Herrera Airport (SKMD) – An AeroAndina MXP-740 Savannah plane (HJ-110) crashed on takeoff injuring slightly the 2 occupants. US/ WI/ Oconto/ J. Douglas Bake Memorial Airport (KOCQ) – A Beechcraft 58 Baron experienced a hard landing and subsequent gear collapse during an emergency landing. Three of the 5 occupants received minor injuries. US/ KS/ Ellsworth/ Ellsworth Municipal Airport (9K7) - A training Cessna 172R Skyhawk plane (N816KS) impacted a snow bank on landing, coming to rest inverted. No injuries. US/ CA/ Modesto/ Modesto City-County Airport (KMOD) – A Beech 35 Bonanza plane (N65Y) experienced a gear collapse upon landing. Chile/ Villarrica – A Quad City Challenger plane (ULM 121) crashed shortly after takeoff due to a strong gust of wind. The pilot was injured. South Africa/ Lanseria International Airport (FALA) – A Beechcraft 58 Baron pane (ZS-LIO) collapsed the gear on landing. No injuries. US/ TN/ Chester County/ 860 Carl McGill Road/ Pinson – A Cessna 172M Skyhawk plane (N194EX) crashed in bad weather injuring a female passenger, the pilot’s wife. US/ KS/ Salina Regional Airport - SeaPort Airlines Pilatus PC-12 commuter plane made a belly landing. No injuries. US/ AL/ Jefferson County/ near Trussville/ NE of Birmingham-Shuttlesworth Int'l Airport (KBHM) – A Cessna 210L Centurion plane (N732EJ) crashed on approach killing the 2 occupants. Brazil/ PA/ Tracuateua – A Robinson R44 helicopter crashed killing at least one on board. US/ MA/ Mansfield Municipal Airport (1B9) – A training Cessna 172S Skyhawk plane (N2143X) crashed on landing. The sole student pilot was not injured. New Zealand/ near Cromwell Racecourse Airport – A light plane crashed on landing due to a strong gust of wind. No injuries. New Zealand/ Hawkes Bay Aero Club – A Rans S-6ES Coyote II plane (ZK-KIX) crashed. Italy/ Monte Conero – A Tecnam P92 plane crashed killing the pilot. Kyrgyzstan/ Osh Airport (OSS/UAFO) - Ural Airlines Airbus A320-214 plane (VP-BKB) suffered a tail strike during take-off. South Africa/ Heidelberg airfield – An ultralight trike crashed killing the pilot. US/ TX/ San Jacinto County/ Shepherd/ NNW of Lake Water Wheel Airport (XS99) – A Rans S-10 plane (N3000V) crashed killing the pilot. US/ CO/ Telluride/ near Telluride Regional Airport (KTEX) – A Beechcraft 35-33 Debonair plane (N400DJ) impacted mountainous terrain shortly after takeoff killing the 3 occupants. Philippines/ Tanauan/ Barradas Airstrip – A Cessna 172N Skyhawk plane (RP-C993) crash-landed immediately after takeoff. US/ DC/ Baltimore–Washington International Airport – A McDonnell Douglas MD-82 plane (N499AA) sustained substantial damage to the forward fuselage, when a push back truck ran into the jet’s nose. New Zealand/ Auckland/ Manurewa/ Ardmore Airport (NZAR) - A1939 Bucker Bu-131B Jungmann biplane sustained substantial damage to the undercarriage and lower wing, when it crashed through the fence after losing power on takeoff. South Africa/ Magaliesburg/ Orient Hills – A Cessna 182 plane crashed killing the pilot. Nepal Airlines de Havilland Canada DHC-6 Twin Otter plane (9N-ABB), flight RA-183, was flying to Jumla in west Nepal from Kathmandu via Pokhara on Sunday. After refuelling at the Pokhara airport, the plane took off for Jumla at around 12.40 p.m. About 30 minutes after the take-off, the pilot of the plane contacted Bhairahawa airport tower for diversion, citing inclement weather. Soon after, it crashed. All 18 occupants on board were killed. Вертолеты спасателей нашли пассажирский самолет de Havilland Canada DHC-6 Twin Otter (9N-ABB) авиакомпании Nepal Airlines, потерпевший крушение на западе страны. В самолете находились три члена экипажа и 15 пассажиров, среди которых - 14 жителей Непала, в том числе несовершеннолетний, и один датчанин. Самолет, выполнявший рейс RA-183, вылетел из Покхары в город Джумла и через 25 минут связь с ним прервалась. Все из находившихся на борту 18 человек погибли. По предварительным данным, причиной крушения могла стать плохая погода. Пътически самолет de Havilland Canada DHC-6 Twin Otter с регистрационен номер 9N-ABB на Nepal Airlines се разби 30 мин след излитането си от Покхара, малко след като екипажът поискал разрешение за завръщане поради влошаване на времето. Самолетът изпълнявал полет RA-183 от Катманду за Джумла с междинно кацане за презареждане с гориво в Покхара. Няма оцелели от 18-те души на борда, от които 3-членен екипаж и 15 пътници. Сред пътниците има датчанин, а останалите от тях, както и екипажът са непалци. UAE/ Dubai Airport (DXB) - Ural Airlines Airbus A321-231 plane (VQ-BOC) was struck by a catering vehicle. A stewardess fell down off the open front door and received serious injuries. Switzerland/ Genève-Cointrin Airport (GVA) - Ethiopian Airlines flight ET-702 from Addis Ababa, Ethiopia, to Rome, Italy, was hijacked during the flight by the co-pilot to seek asylum in Switzerland. South Sudan/ Rubkona Airport - A cargo plane delivering humanitarian aid to South Sudan crash-landed killing one crew member and seriously injuring three others. France/ Tabaille-Usquain – A training Eurocopter EC 120B Colibri helicopter crashed. No injuries. Australia/ WA/ Pilbara/ Newman/ NE of Newman Airport (YNWN) – A Cessna U206G Stationair (VH-YOT) made a forced landing injuring slightly the pilot. US/ NJ/ Caldwell/ Essex County Airport (KCDW) – A Cessna 172S Skyhawk plane (N426SP) crashed on landing injuring slightly the pilot. US/ FL/ Wellington/ near Wellington Aero Club Airport (FD38) – A Sonex Aircraft Sonex plane (N732SX) crashed and partially submerged in a lake. The pilot died. US/ MT/ from Denver to Billings - United Airlines Boeing 737 hit severe turbulence over Montana. Five people were sent to hospitals from injuries they suffered. Japan/ near Hokkaido - Nine people were injured when a Cathay Pacific Boeing 747 hit severe turbulence over Japan. Lebanon/ Blue Line/ S Libanon – IAF UAV crashed. Australia/ VIC/ Melbourne/ Moorabbin Airport (YMMB) – A training Cessna 150G plane (VH-RXM) made a forced landing shortly after takeoff and was damaged. Colombia/ Caldas/ Norcacia – A training IAI Kfir TC12 combat jet (FAC3006) crashed killing 1. The other pilot ejected, but received injuries. Brazil/ RJ/ Sea in Barra de Guratiba – A training Robinson R22 Beta II helicopter (PT-YFV) crashed into the sea. One crew member found alive, but later died due to his injuries. The second on board is missing. US/TX/ Pearland/ near Pearland Regional Airport (KLVJ) – A Beechcraft B100 King Air plane (N811BL) crashed killing the pilot. The plane went down near two homes. US/ GA/ Macon/ Macon Downtown Airport (KMAC) – A training Piper J3C-65 Cub plane (N9026N) crashed, while practicing touch-and-go landings. Both men on board were injured. US/ SC/ Myrtle Beach/ Myrtle Beach International Airport (KMYR) – A Piper PA-32-301T Turbo Saratoga SP plane (N8322L) made a belly landing. No injuries. Brazil/ Araguaína – A Cessna T210L Turbo Centurion (PR-VPI) was performing a test flight, when it crashed in a home’s backyard killing a child and injuring 2 others. Brazil/ MT/ Tangara da Serra – A Van's RV-10 plane (PR-ZOP) crashed killing the 2 occupants. Brazil/ Tabatinga – One of the pilots of an Embraer EMB-314B (A-29B) Super Tucano ejected from the plane and landed in the countryside between the towns Tabatinga and New Europe. He was injured. The other pilot landed the plane successfully. India/ Mumbai - United Airlines Boeing 777 operating flight UA-48 from Newark to Mumbai, was grounded after engineers discovered that the right engine cover was badly damaged. Syria/ Saqba East Ghouta – Syrian Air Force MiG-21 jet was shot down by rebels. Australia/ QLD/ Near Mission Beach (North) – An agricultural Bell 206B JetRanger helicopter (VH-BNG) crashed injuring the pilot. Chile/ Concepcion – An Air Tractor AT-802B plane (PR-TAF) force landed in a marsh. No injuries. UK/ Sandhurst/ Sandhurst Lane – A Robin DR.400-120 Dauphin plane (G-BBCH) made an emergency landing in a field. No injuries. Ecuador/ Cordillera Occidental range of the Andes/ Chimborazo region – A military Hindustan ALH Dhruv helicopter crashed killing three people on board, the pilot survived the crash. A Libyan Air Cargo Antonov 26 (5A-DOW) crashed in Tunisia killing all 11 people on board (crew members, doctors and 3 patients). Among those killed was Sheikh Muftah Mabrook al Dwadi, a senior Islamist figure and deputy minister of Libya's Ministry of Martyrs' Affairs, the Libyan air force said. Shortly before the plane disappeared from radar screens, the pilot radioed the control tower at Tunis airport to say that an engine had failed. 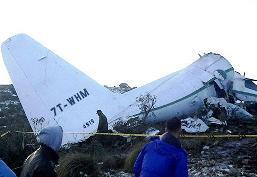 The plane crashed at 1.30am in the Grombalia area, 40km from the capital Tunis. The aircraft crashed in a field on the edge of the village of Nianou, but managed to avoid any houses. 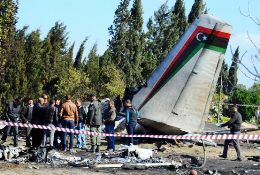 Teams began searching for the aircraft's black box flight recorders in an attempt to establish the cause of the crash. US/ GA/ LaGrange/ LaGrange-Callaway Airport (KLGC) –A Beech 95-B55 (T42A) Baron plane (N36638) crashed on landing killing the 3 occupants. US/ IN/ Marion/ Marion Municipal Airport (KMZZ) – A Van's RV-6 impacted a snow bank upon landing and came to rest inverted. The pilot was slightly injured. US/ KS/ Greeley County/ Tribune/ West of Tribune Municipal Airport (5K2) – A VANS RV-9A plane (N7872) crashed killing the pilot. France/ Oloron Ste Marie - A homebuilt airplane (F-WRNS) crashed on takeoff while performing its first flight. The pilot died. US/ CA/ Hollister/ Hollister Municipal Airport (KCVH) – A Beech A45 Mentor (N666) lost an engine power and made a hard landing aside the airport. The pilot was injured. Germany/ near Lauterbach – A Commander 114B plane (D-EDMI) made a force landing 500m short of the runway. Both occupants received serious injuries. Iraq/ 25 km west of Baghdad/ Abu Ghraib area - Iraqi Air Force helicopter crashed killing the 4 occupants. Colombia/ Departamento del Meta/ Mesetas – A military Sikorsky Black Hawk UH-60 helicopter (EJC 2160) hit a tree and crashed killing 4, injuring 2 occupants. US/ CA/ Concord/ Buchanan Field Airport (KCCR) – A Fokker DVIIR biplane (N63DW) came to rest nose down during taxi tests. No injuries. US/ AZ/ Maricopa/ Ak-Chin Regional Airport (A39) – A Sabrena Dragonfly plane crashed killing the pilot. US/ UT/ Bountiful/ North of Skypark Airport (KBTF) – A Cessna P210N Centurion plane (N18DP) force landed to a field, coming to rest inverted. No injuries. US/ FL/ between Okeechobee and Indiantown – An ultralight crashed in a field injuring seriously the pilot. US/ FL/ South Mt. Plymouth – A Van's RV-9A plane (N19VC) crashed on landing and came to rest inverted. Both occupants received minor injuries. Australia/ Tasmania/ Legerwood – An agricultural Hughes 269 helicopter crashed while crop dusting. No injuries. Australia/ VIC/ Myrtleford – A Jabiru J230-c airplane (24-5067) force landed in a field. The pilot received minor injuries. Bahamas/ Abaco/ Sandy Point Airport – A Piper plane was carrying 7 illegal immigrants and intentionally crashed into a police car. The pilot fled the scene. Two of the four police officers in the police car were treated for minor injuries. Brazil/ MT/ Cotriguacu – A Cessna 210L Centurion plane (PR-GPB) crashed killing the 2 occupants. Saudi Arabia/ 2 km from Al-Baha – A military Bell 212 helicopter crash-landed. All 5 occupants received minor injuries. France/ Albertville – A Robin DR.400-140B Major plane (F-HBIT) made an emergency landing and crashed injuring 3 occupants. Angola/ Lunda Norte/ near Lukapa Airport (LBZ) – An Embraer 120RT Brasilia plane (D2-FFZ) force landed and sustained substantial damage to the undercarriage, both engines and wings. No injuries. Brazil/ Tocantins/ Araguaína – A Cessna 188 crashed in a dense forest. No injuries. US/ HI/ 1 mile SW of Lanai Airport/ Miki Basin – A Piper PA-38-112 Tomahawk plane (N483VA) crashed shortly after takeoff killing 3, injuring critically 2 and seriously 1 on board. New Zealand/ Canterbury/ Waimakariri/ Burnt Hill – A training Piper PA-38-112 Tomahawk plane (ZK-EYB) crashed injuring seriously the 2 occupants. UAE – A military jet trainer crashed killing the 2 occupants. France/ Savoie/ Tarentaise/ Tignes/ Grande Motte glacier – A Jodel D.140C Mousquetaire plane (F-BJQT) crashed on takeoff injuring seriously the sole pilot on board. Iceland/ Reykjavik Airport – A Cessna P210R plane (N995RK) suffered a nose gear failure on landing. No injuries. Dominica/ Roseau/ Canefield Airport (TDCF) – A Cessna 404 Titan plane (N677MF) crashed into a fence on landing due to the brakes failure. No injuries. Germany/ 2 mi W of Dars – A training MBB BK 117C-1 helicopter (D-HDRJ) crashed into the Baltic Sea killing 3, injuring 1 occupant on board.